The Good Natured Handyman offers various handyman services in Swindon. If you need Cleaning, Pressure Washing, Moving Services, Roofing, Painting, Plumbing, Electircal, Glazing we can help! Among a long list of other services! We have recently moved to Swindon from Taunton to be closer to family! Please consider this before pre-paying for our services. There are certain partners we trust as a handyman in the trades profession. Sometimes we get to busy to take on all the work that comes our way. If we direct you to our website and recommend a trusted partners this is the list of providers you should contact. 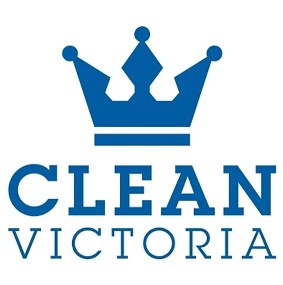 Clean Victoria is run by Paul Laing. His company specialises in carpet residential carpet cleaning. But they also do some commercial carpet cleaning work also. Paul has been in business for a few years now and comes highly recommended. He is not local but if you need carpet cleaning services in Newcastle upon Tyne he is the man for the job! We Move and Clean comes recommended as we have had a lot of business come in from people wanting house removals for Swindon as they are moving there for work. Generally we just don’t go that way so we partnered up with Lucas who is the owner. Abacus Glazing is a Bournemouth double glazing company. We have know the husband and wife team, Phil and Debbie, for over 10 years. They come higher recommended if you need glass work in Dorset. Abacus Locksmiths is a Bournemouth locksmiths service also run by Phil and Debbie. When we need professional home safety security and lock advice for our own clients we generally consult with Phil on behalf of our customers. Fill in the form to the right and we will be in touch within 90 minutes during business hours. Or fell free to call us to speak to a handyman in Swindon right now! Appointments required for site visits. We operate a home office and don't have a front desk receptionist.